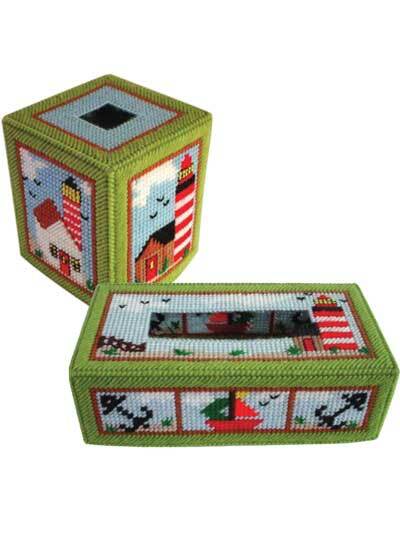 Nautical lovers will appreciate these 2 lighthouse tissue covers. 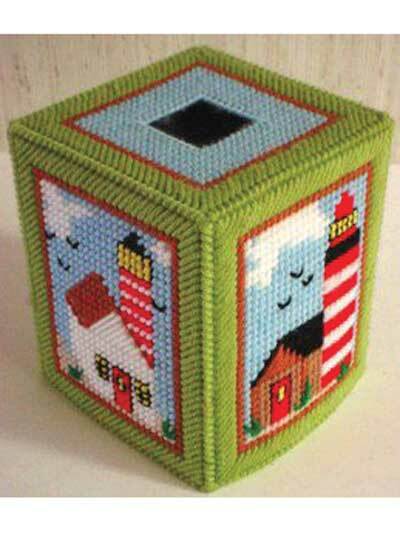 Each are made using 7-count plastic canvas and worsted-weight yarn. 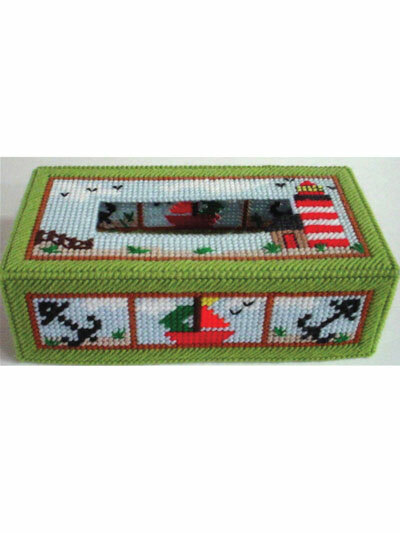 One fits a boutique style tissue box and the other a regular-size tissue box.